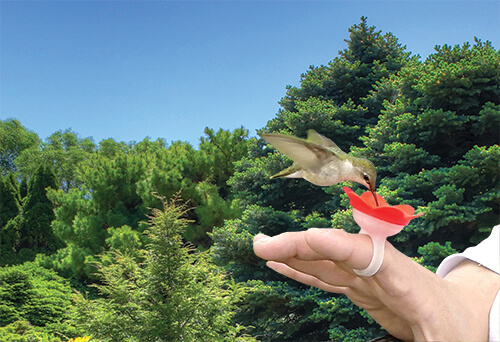 Feed Hummingbirds right out of your hand with the Hummer Ring! 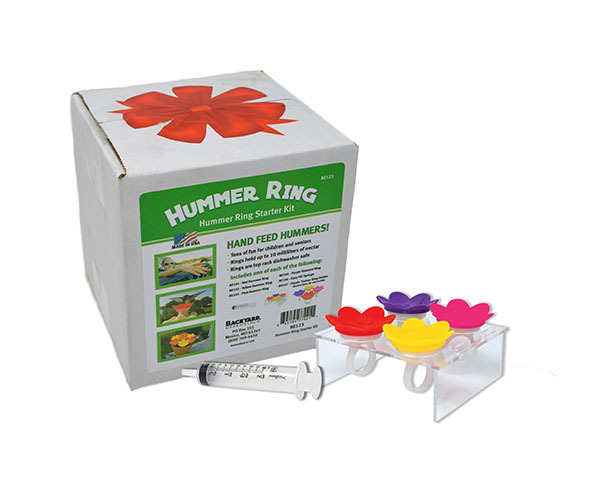 Train your hummingbirds to feed from the ring by placing it in the Trainer and Ring Rest and use the Ring Feeder Easy Fill Syringe to fill the ring with just the right amount of nectar. Once hummingbirds are feeding from the ring, simply place it on your finger and wait for the action to begin! 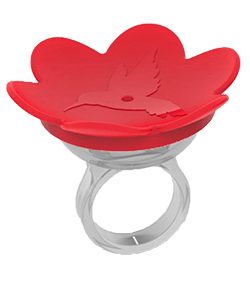 The Hummer Ring is made from light-weight, yet durable and easy-to-clean plastic, so the ring stays light on your finger. It is available in four fun and vibrant colors (red, yellow, pink and purple), and is top rack dishwasher safe.